Jameson has been distilling Jameson since 1780 but they were always open to new ideas. So when Cork’s Franciscan Well Brewery borrowed their casks to age their fine Irish stout, it gave them an idea; why not finish their own precious liquid in stout-seasoned oak barrels? The result is a special whiskey, still triple distilled, now rich with new notes of coffee, cocoa and butterscotch. The Jameson Caskmates story all began when Jameson’s head distiller and Franciscan Well’s head brewer met in the local pub. 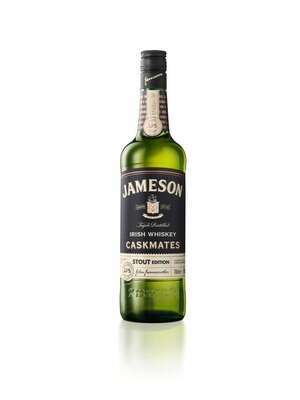 A swapping of barrels between friends soon after resulted in Jameson Caskmates Stout Edition - triple distilled, blended Irish whiskey finished in craft stout seasoned barrels.